Record Store Day is honored around the world (except on Antarctica), celebrating and spreading the word about the unique culture surrounding independently owned record stores. Three years ago, we wanted to get involved, but unfortunately don't have any record stores to partner with in our listening area. So we created our own pop up record store, open only on Record Store Day, selling used vinyl. 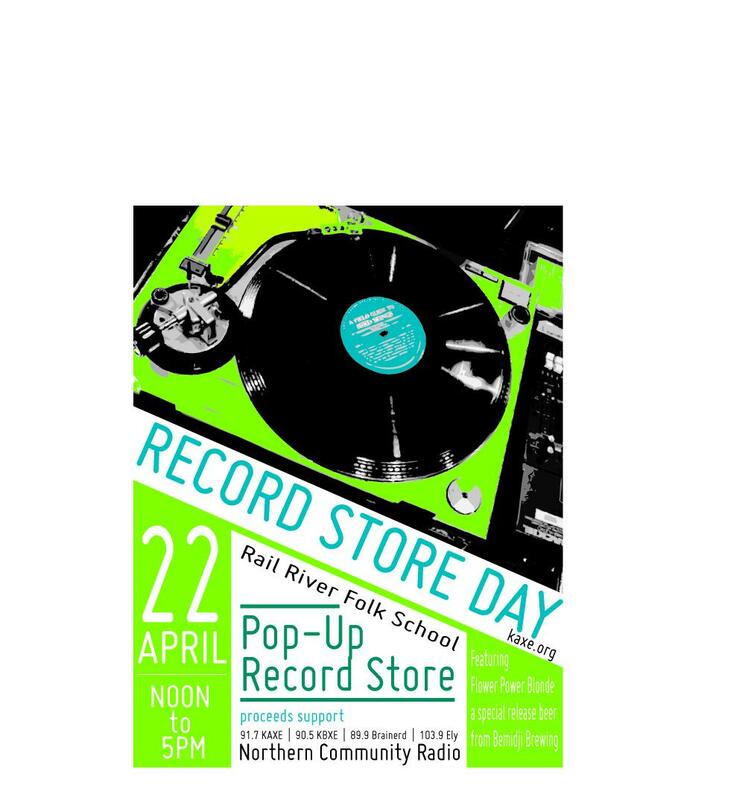 We're doing our 3rd annual celebration of Record Store Day, April 22nd with a pop up record store at Rail River Folk School, in downtown Bemidji. We're also very excited to announce our collaboration with Bemidji Brewing this year for a special Record Store Day release, Flower Power Blonde! Record Store Day is coming! Record Store Day is coming! We're going to celebrate the day once again by having a pop up record sale in Bemidji, selling donated records and CDs. Do some spring cleaning, dust off those old records & CDs in your closet, and bring them into KAXE or KBXE for donation! All proceeds from the sale benefit Northern Community Radio, helping us bring more to your community. Headwaters School of Music and the Arts(HSMA)has long been an arts gathering place in Bemidji, MN. 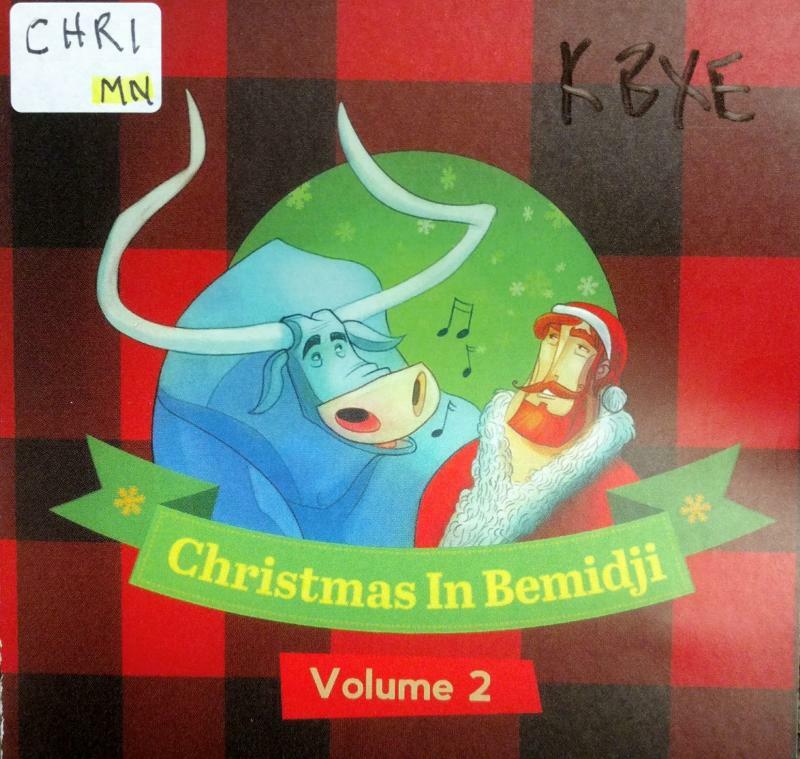 With the release of Christmas in Bemidji Volume 2, HSMA kicks off its annual fund drive to support student scholarships. On the Friday morning show we talked with Executive Director Tricia Andrews about the cd, its release party, and what goes on at the school. A lifelong and accomplished poet, Donna Salli's first novel A Notion of Pelicans hit bookstores in September. In this segment of Area Voices we learn about her longtime love of language and her leap from poems to books.